Genivity's HALO assessment is the fastest, easiest way to plan for a lifetime of health and care costs. Clients take the HALO assessment. 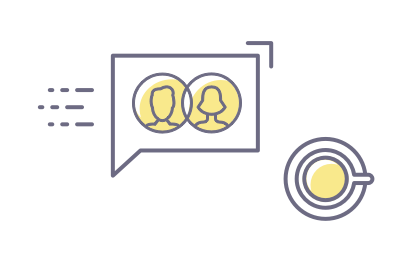 HALO's self-guided assessment collects all of the information you need without an uncomfortable conversation about client health. HALO projects clients' health and care costs. We use science to personalize cost projections to each client's unique lifestyle, health and longevity. Advisors and clients revisit their plans, together. Whatever your targets were before, they were too low. Now that you know the real numbers, rebuild clients' plans to make sure to get there. 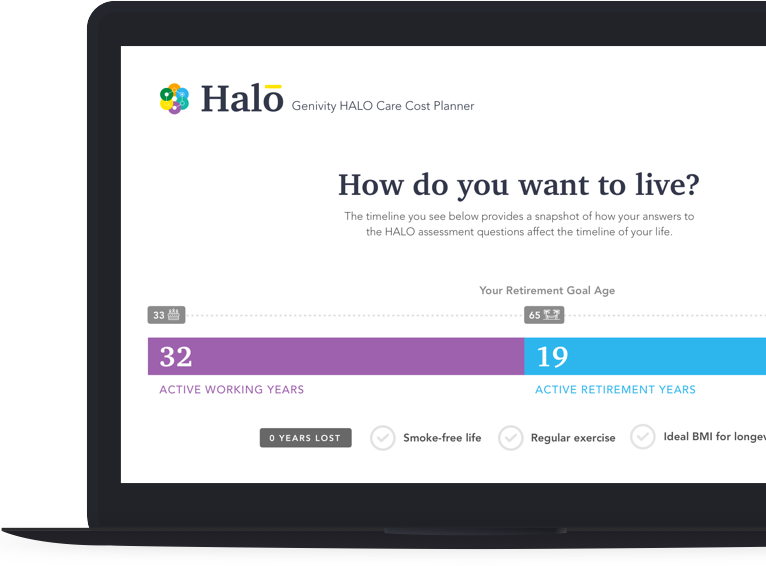 HALO brings science to financial planning to create personalized projections about your clients’ health and care costs. See a preview of what trouble may come, so you can put together a gameplan years in advance. Clients are often surprised by how many healthy years they can expect in retirement. 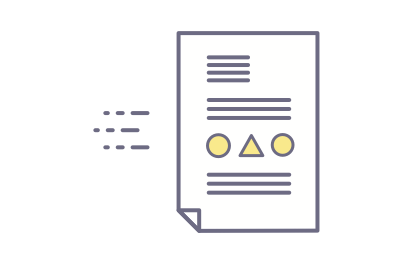 Set evidence-based targets for how many years of long-term care each client needs to plan for. Base clients' longevity estimates on their unique health, behavior and family, not some generic actuarial table. Or 95. Or 100. The longer clients live, the more money they need for retirement. HALO shows clients how lifestyle changes, like exercising regularly, can increase their longevity and give them more healthy years. Plan around an accurate estimate for this year, next year and every other year all the way through retirement. Planning for these costs is only possible with a personalized estimate that accounts for health, location and inflation. Embed HALO on your own website. Don't have one? We'll host it for you. Either way, HALO will look like your assessment, not ours. Share HALO with your clients. Encourage clients to take the assessment whenever they have a few free minutes. 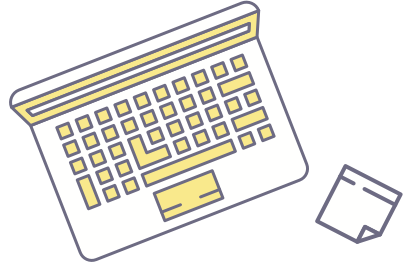 HALO sends you the full report, but clients and prospects only receive a snapshot. They have to talk to you to learn more. It's been enlightening for my clients to see how much their lifestyle choices can impact their results. Protect AUM by protecting clients from health and care costs. Genivity is designed to complement, not replace, the relationship between you and your financial advisor or physician. Our aim is to promote individual responsibility for health and wealth and not to offer financial or medical advice. The website is intended for a general audience.